The New Year looks promising with AI becoming more pervasive and augmented reality making a comeback. Last year, Artificial Intelligence (AI) and machine learning were the buzzwords in the tech world. This year, technology companies are expected to take it a notch higher. We will witness the implementation of AI in the form of virtual companions, voice-controlled home appliances and next generation smartphones. On the hardware front, the much-awaited under-display fingerprint scanner will arrive. Augmented reality will make a big comeback with major players opening AR development kits to developers, allowing them to come up with innovative AR apps. Here is a look at the top technology trends in the consumer space. Voice Assistant: For long, the job description of voice assistants has been rather mundane - fetching information or launching an app on smartphones. Then they were equipped to make our lives easier through smart speakers. The year 2018 will see voice assistants become an important part of our home, in the form of voice-enabled home appliances. Moving beyond connected appliances that can be operated using an app, manufacturers are looking at incorporating microphone and access to information on the cloud for the appliance to respond to a voice command. Imagine this: if your child accidentally spills milk on the floor, instead of picking up the mop, you can command the vacuum cleaner to clean the mess. Although the options for voice-controlled appliances are limited currently - washing machines, air conditioners, vacuum cleaners and dishwashers from companies such as Candy Blanca, LG, iRobot, Hoover, GE Appliances and Whirlpool, to name a few - many more products are expected to launch soon. This year, consumers can look forward to voice-controlled garage doors, window blinds, coffee machines, precision cooking devices, among other products. Samsung has announced that it will launch voice recognition capability for its Family Hub refrigerators and, by 2020, incorporate smart features into all its appliances. Most appliances today support Amazon Alexa, many others support Google Home and Apple HomeKit. Manufacturers will have to choose which of these leading voice assistants to support when launching smart appliances. Virtual Companion: An extension to voice assistants, a virtual companion could be in the form of a robot or an app. Manufacturers are trying to make a virtual (almost human) companion that humans can interact with, just like they would with a friend. The virtual companion could take any form - a spouse waiting for you to return home, a nurse that can take care of the elderly or an app that can entertain you. Japanese research lab Gatebox Inc. hopes to create a world in which people can live together with virtual characters. 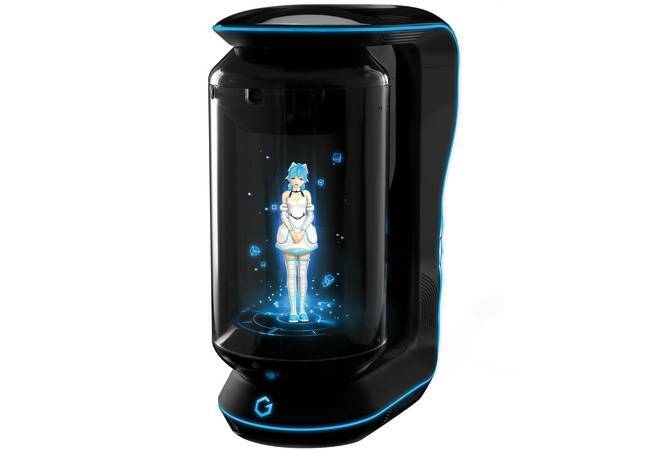 Its first project Gatebox has a holographic home assistant named Azuma Hikari, equipped with a screen and a projector with microphone, camera and sensors to detect temperature and motion. The sensor helps Hikari to recognise faces and voices, and interact with the owner on a personal level and send messages when he/she is away. Those who find entering an empty house depressing, Hikari's warm welcomes are a good idea. Care Coach is another company focussing on patient support ecosystem. Using avatars, patients are offered care reminders, therapeutic engagement, and safety supervision in an engaging and fun way. Several start-ups are working on creating such virtual companions. Under-display Fingerprint Scanner: Synaptics is expected to unveil a new technology, called Clear ID, at the CES 2018 to be held in Las Vegas. Designed for smartphones with infinity display or bezel-less screens, Clear ID in-display fingerprint sensors work the same way as the home button fingerprint sensor, except they can be activated by actually pressing on the display part of the touchscreen. The company has just announced plans to mass-produce the optical in-display fingerprint sensor and is already working with five OEMs. Reports suggest that Samsung, too, has applied for a new patent application for an in-display fingerprint scanner which will be first incorporated in the Galaxy S9 launching early this year. 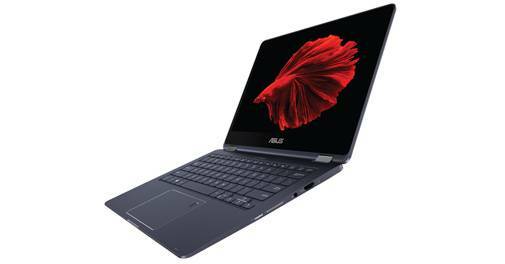 Bigger Batteries: The focus will, yet again, be on mobile computing as laptops and convertibles will offer bigger batteries that can last a day or more. Many new convertibles will be powered by Qualcomm's Snapdragon 835 chip, which, along with power, will offer 20 hours of battery back-up. LG's Gram laptops will come with a full-day battery life. Samsung has also updated its Ultrabook Series 9 with bigger batteries. AI Fervour: Brace up for super-smart phones as manufacturers incorporate AI in chipsets. Not only will they respond to our queries, but will automatically suggest apps based on our usage. Smartphones will be able to hide notifications until the time you look at the screen, preventing your data from prying eyes, and will automatically adjust the camera settings based on the environment. AI-powered chipsets can even show real-time language translations when in offline mode. By learning the usage patterns, smartphones will be able pre-empt and prioritise activities for the user. Video: The depth effect was all the rage in 2017, thanks to dual-camera smartphones. Moving on, video will be the next big thing. With traction on video content increasing rapidly, smartphones, drones and action cameras have been improving their video capturing capabilities. The new flagship smartphones will be able to capture premium quality, high-definition videos; and app stores will brim with video editing apps that offer easy-to-use professional tools. 4k TVs will finally find relevance (they have existed for over half a decade) as 4k content becomes more easily available. Streaming devices such as Apple 4k TV, Chromecast Ultra and FireTV, too, will become much sought-after. Augmented Reality: While virtual reality made hay - given its ease of implementation - augmented reality (AR) got sidelined. This promising technology is about to get a facelift with Apple and Google focussing on AR in a big way this year. Thanks to Apple's ARKit and Google's ARCore, developers have started making games, educational and interactive apps, shopping apps and medical apps, utilising the power of AR. The application of the technology will go beyond gaming and entertainment, to areas such as retail, science and education. For instance, IKEA has come up with an AR app to help people design their homes. People will be able to have a more immersive shopping experience using the AR app, eliminating the need to visit a store.